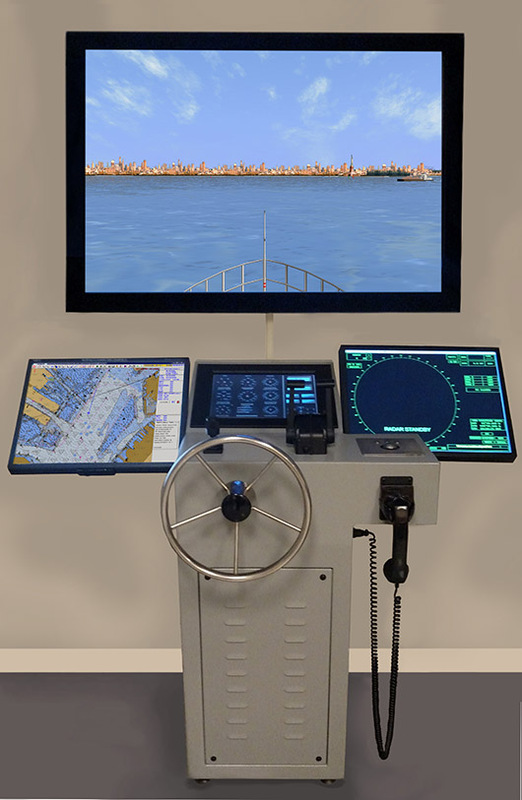 BCG will custom design and outfit a Student Steering Console to be used in conjunction with our line of radar simulation products based on your organizations individual requirements. 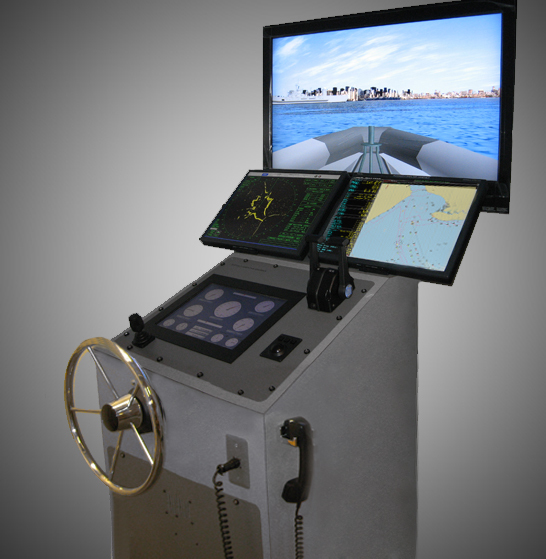 The table-top or upright console provides the student mariner with a 'hands-on' steering control of their Ownship in the simulated exercise. 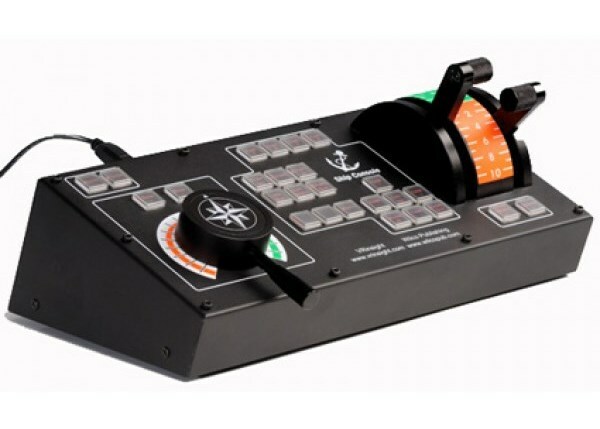 The user is offered a wheel for helm control, and either a single or dual throttle for speed control. 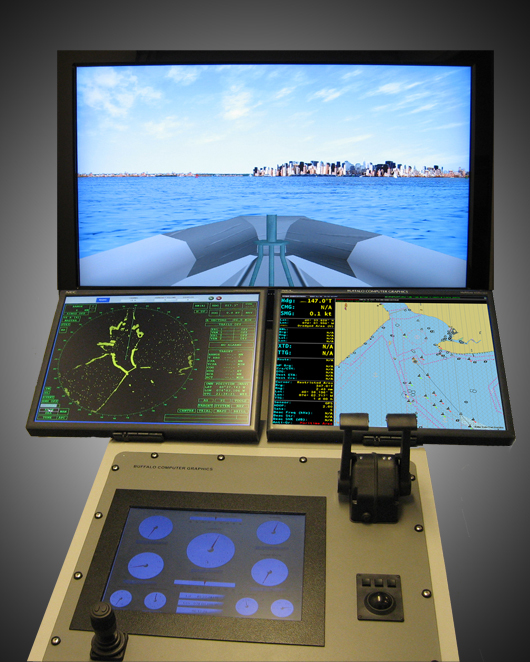 Ownship sensor information is provided to the user via a built-in status display (the Virtual Steering Stand or VSS). Contact BCG for more information.